We serve a delicious breakfast buffet with lots of organic and healthy options – a proper hotel breakfast. Are you hungry or have you left something at home? Not a problem – Comfort Hotel Stavangers smart Barception and Comfort Deli is open 24/7. Drinks, snacks and sweets are available here whenever you want. Welcome to Comfort Hotel Stavangers' lobby bar for a glass of wine, a cocktail or just to hang out. 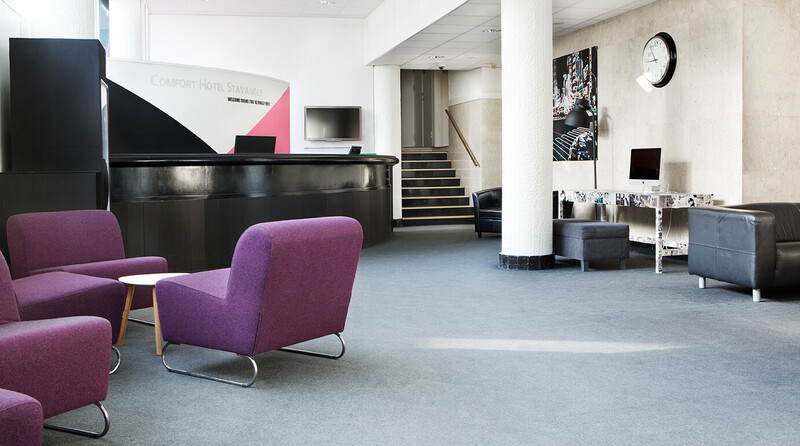 We enjoy relaxed Sundays at Comfort Hotel Stavanger. That's why you can keep your room until 6pm on Sundays, at no extra cost. Of course, free Wi-Fi is available throughout the entire hotel. Just choose the network «ComfortHotel» and you are in! Easy and great!